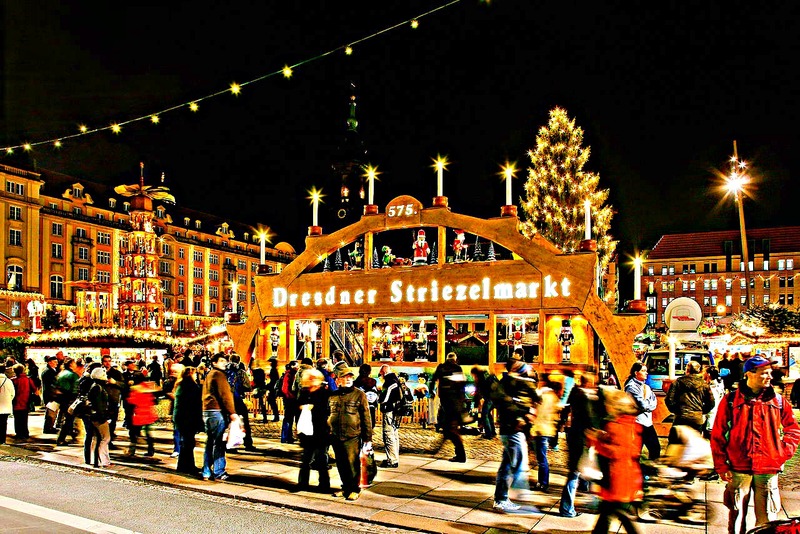 The Striezelmarkt in Dresden from November 26 until Christmas Eve is 581 years old this year and has 25o stalls. Don’t miss The Stollen Festival where a master baker cuts the giant fruit cake with a 1.6 metre-long knife. Austria’s are easily the most elegant. 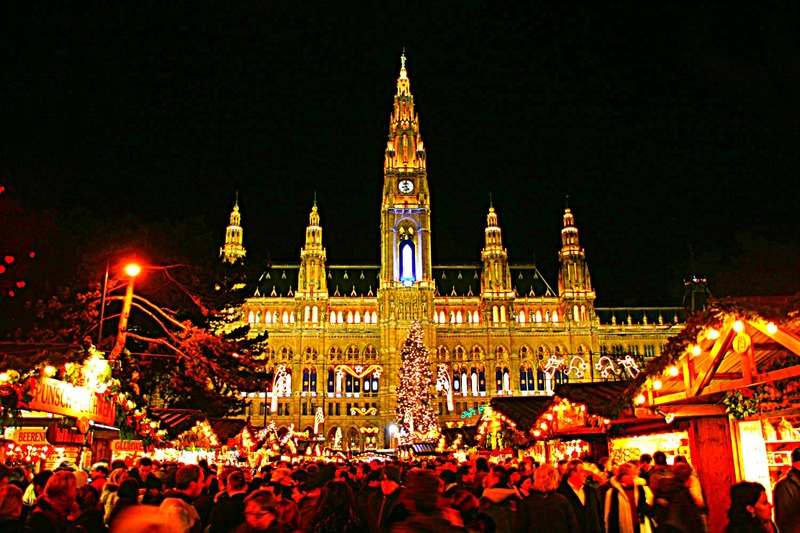 From November 13 to December 26 Vienna’s baroque city hall, shops, cafes and museum become the backdrop to a variety of beautiful Christmas Markets. Don’t miss out on playing ice games (like curling) at the Christmas Village in Maria-Theresien Platz near the museum of fine arts. Czech Republic is best on foot. 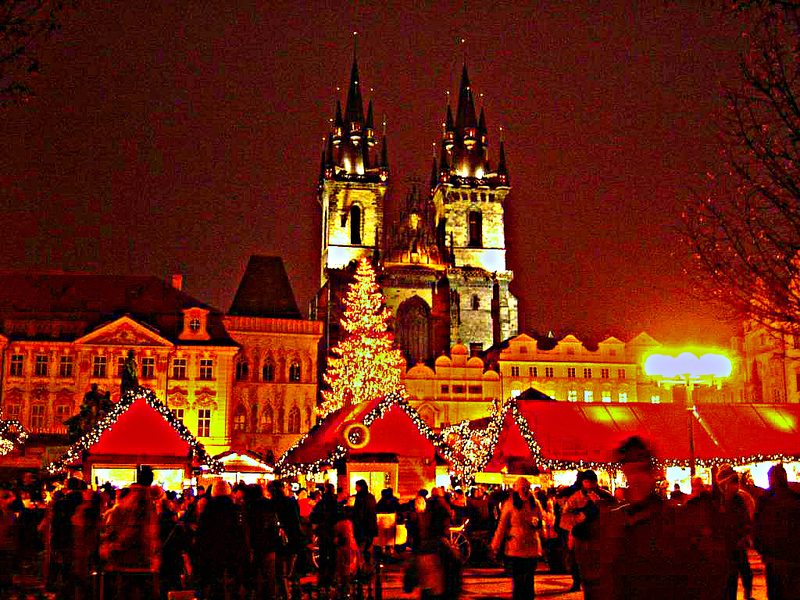 For those that like to have it all on their doorstep, go to Prague because the two main Christmas markets, on from Novermber 28 to January 6, are a short walk from each other in the city’s Old Town Square and Wenceslas Square. Explore the traditional taverns, gourmet restaurants, old churches and coutyards hidden down the cobbled lanes of the medieval centre. Food is at its best in Hungary. 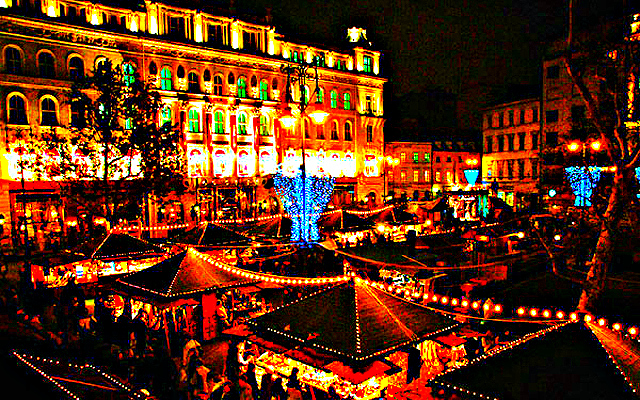 Vorosmarty Square in Budapest becomes a foodie’s haven when it transforms into a winter wonderland between November 13 and January 6. A major crowd puller is the food. This market features top quality Hungarian eats and drinks so you shouldn’t leave without trying a fois gras sausage or pulled pork burger. Posted in Austria, Germany, Prague, shoppingTagged Budapest, christmas, Dresden Christmas Market, Prague market, ViennaBookmark the permalink.